This inviting townhouse has 3 bedrooms and 3 bathrooms and over 1400 plus sqft of comforts of home. Located just a few miles from Walt Disney World and the Magic Kingdom, Epcot, Animal Kingdom, and Hollywood Studios theme parks. Our clean, warm, & inviting townhome has all the comforts of home. The living room has a sofa and loveseat, as well as cable TV, and usually a DVD player for you to relax with. The dining areas are comfortable for meal times with the family. The master bed is upstairs and includes a king bed, 15' TV with cable and a walk-in closet and full bathroom. The 2nd bedroom features a queen bed, a walk-in closet and a 15' TV. The 3rd bedroom, located downstairs, has sleeping arrangements consisting of twin beds. Featuring a fully equipped kitchen: full size refrigerator with ice maker, full size oven/flat top burners, dishwasher, microwave, blender, toaster, coffee maker dishes, utensils, silverware, pots, and pans etc. laundry room with full size washer, and dryer in unit, just beyond the dining room is the lanai with is own private splash pool. 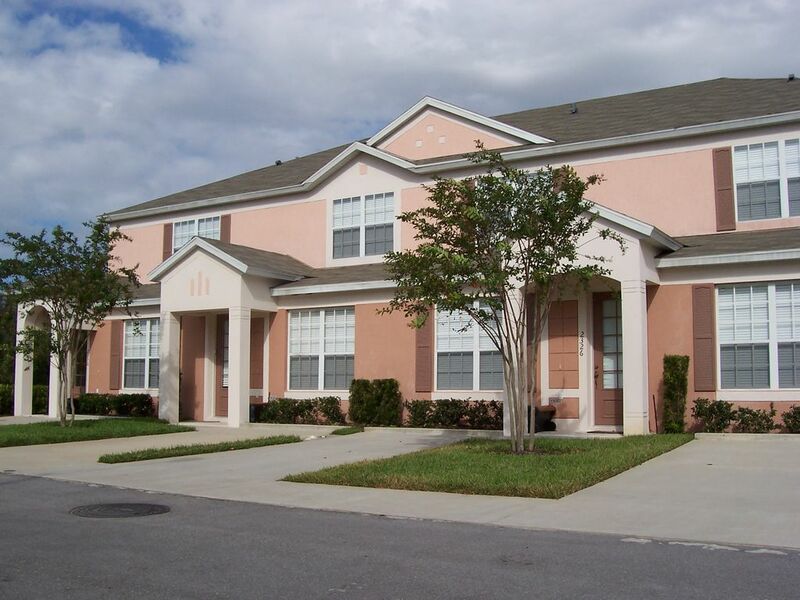 Windsor Palms is a gated community located within the heart of Orlando’s premier tourist attractions, boasting the closest proximity to the Disney theme parks! This luxurious resort style community features impressive amenities including a community center complete with a large lagoon styled swimming pool, movie theatres, fitness center, sundry shop, and basketball and tennis courts. Windsor Palms is located along Formosa Gardens Blvd, just off US192 and its many restaurants, grocery shops and gift stores. Townhouse was exactly described. Very clean and comfortable. Main pool area was great. Close to all major attractions with many dining and shopping options a short drive away. Would defineltly return. Great location for Disney, restaurants, and grocery stores. My family had a wonderful stay in this 3 bedroom / 3 bath townhouse. It was great to have 3 showers in the morning when everyone was getting ready and a full kitchen to enjoy breakfast together. As a bonus, the property has a fun tiki bar at the community pool! Mye for pengene her. bra service ,sette fingeren på noe må det være at det var en sprekk i veggen under vinduet på det ene soverommet der kom det inn vann når det regnet, så sengklærne ble våte. Ga beskjed til resorten om dette ble ikke gjord noe med. ikke noe problem for oss ingen brukte den senga. jeg vil anbefale boligen til andre.